Facial rejuvenation is a cosmetic procedure, or more than one procedure that has the primary focus of being able to make you get a youthful look to your face. It can be done performing surgery, or of course like we offer at VitaSmile, none surgical procedures. You will be able to help your facial symmetry look its best, with targeted procedures that can help to restructure the face, and help to make skin alterations. If you opt for none surgical procedures it is a wise choice because you will be able to have localised areas like hyperpigmentation, wrinkles and scars treated directly. friend overseas went under the latest procedures to look younger for longer. Now, it is just like having a trip to the local gym. Men and women alike are taking full advantage of new and effective anti-ageing techniques like those on offer at VitaSmile. We want to look the best we can for the longest we can. The sight of a wrinkle can have many in floods of tears! The possibility of being able to get rid of a wrinkle with a small procedure can have many screaming in joy. It is a great feeling when you walk into a room and receive compliments about your looks. Even if peels are notably stating that you have had a procedure, then you will still feel great. As we age, the skin drops, it loses the natural ability to be able to recreate and produce collagen (which is what helps it keep the elasticity and the youthful look of the skin.) Collagen makes your skin firmer, and flatter. The surface of those that have still not reached a collagen decline in their body will look younger and better. It can be annoying as a man or a woman to have to accept that you are aging and that the clock is not going to turn back any further. Injections and clock turning procedures are something that you need to check out and try, before having a negative opinion on them. Many of the facial rejuvenation techniques on offer today, are painless and offer immediate results with minimal downtime. Men love the new trend. Facial rejuvenation is not just something that celebrities have any more; it is something that your average housewife, office worker, cashiers at the local supermarket, or medical profession has undergone. 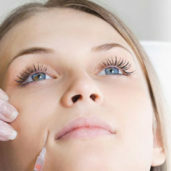 Botulinum toxin and derma fillers are one of the most commonly used facial rejuvenation techniques that are used in the UK today. Here at VitaSmile our dentists will be able to help you to turn back the clock, and start to maintain a youthful appearance. All you need to do is pick up the phone and schedule an appointment.